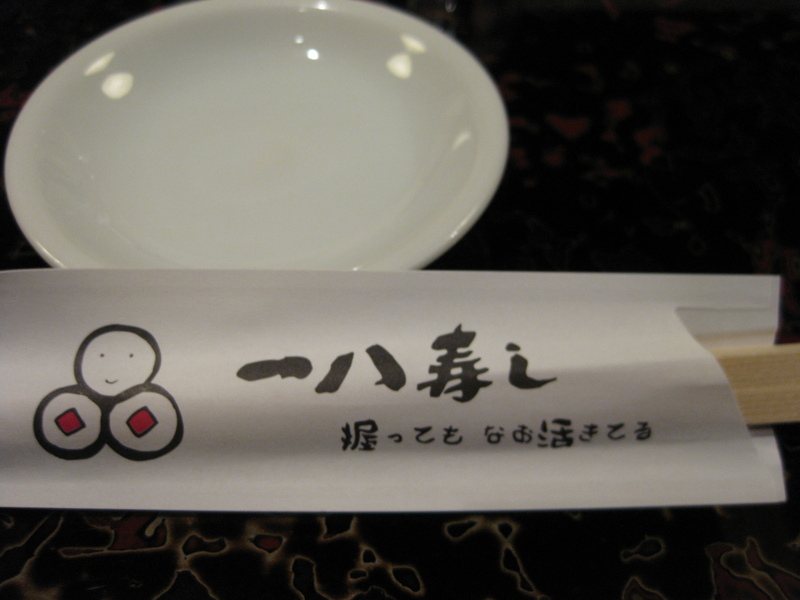 I went to the popular Sushi place, Ippachi Sushi for “Uchiage”. Uchiage is “Wrap-up party” or “Job-well-done party” in Japanese. I think it is one of the characteristic customs in Japanese business. When you are involved in some kind of big projects or events and after everythings was done, you will definitely be invited to Uchiage party – and here is the characteristic part – you are tacitly NOT EXPECTED to be absent from the party. 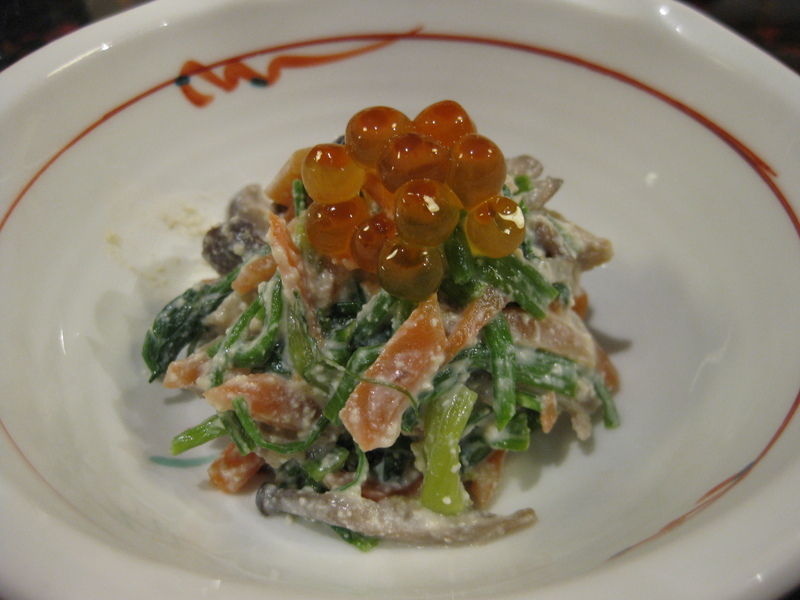 So Uchiage party is still a part of your business, and is held at an average cost of 5,000 yen. No matter you drink alcohol or not, you pay the same price. So if you do not drink alcohol, you have to enjoy EATing to get your money’s worth! 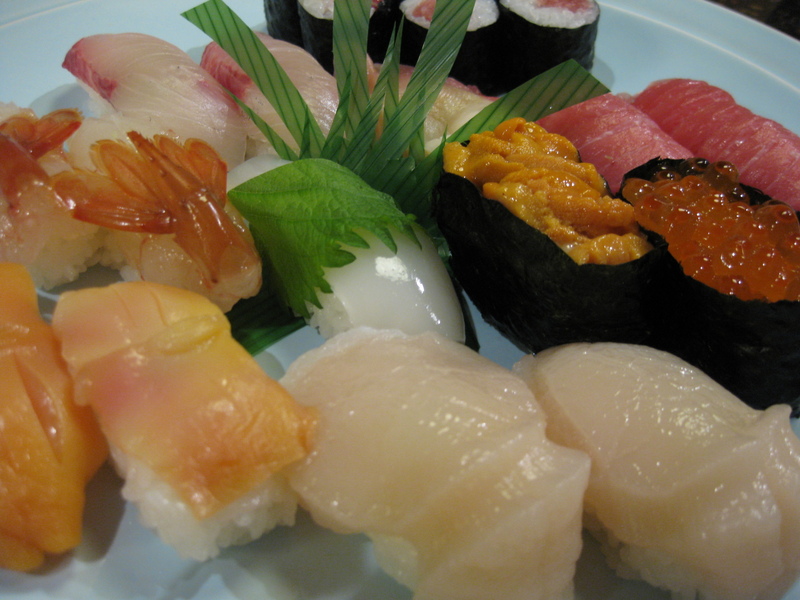 Here are the Sushi Course of 3,500 yen( food only) I had. 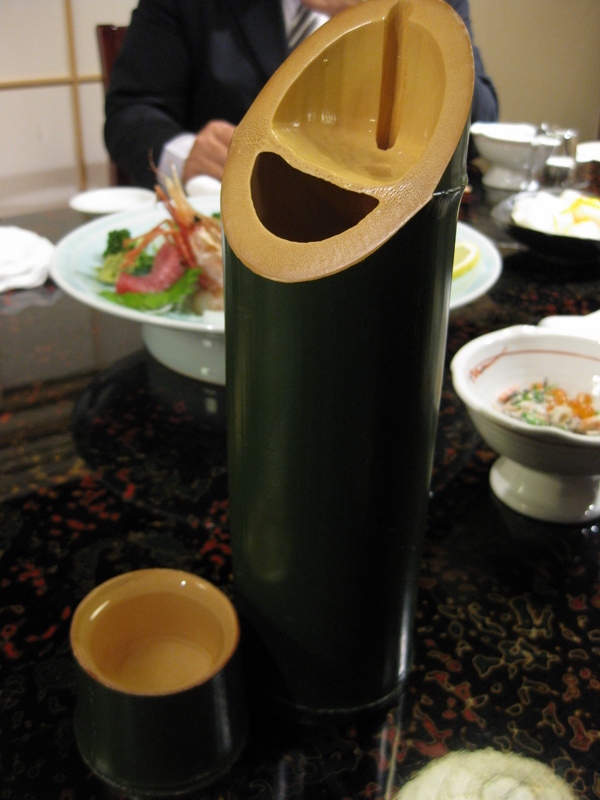 Soy sauce plate and chopsticks - I like the Ippachi Sushi Logo with smiling face on top of tuna roll. 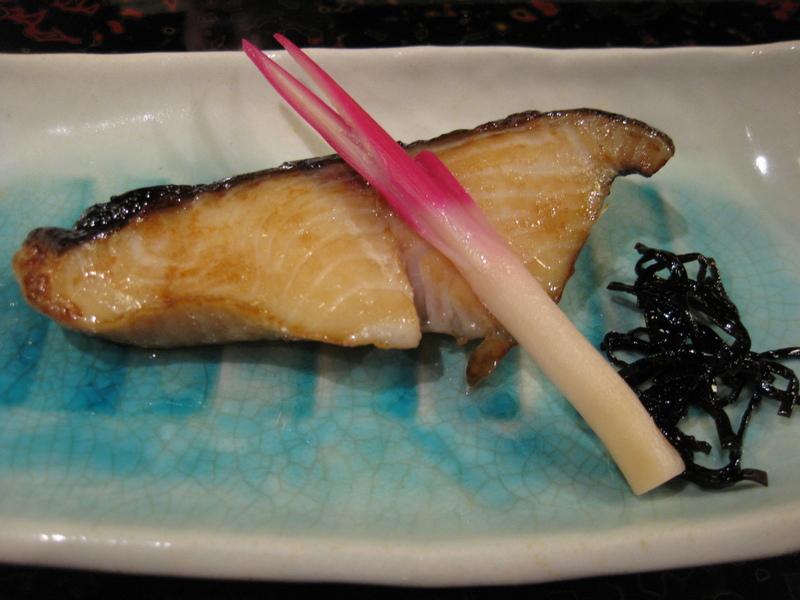 You can find pickled daikon radish almost anywhere in Japan. 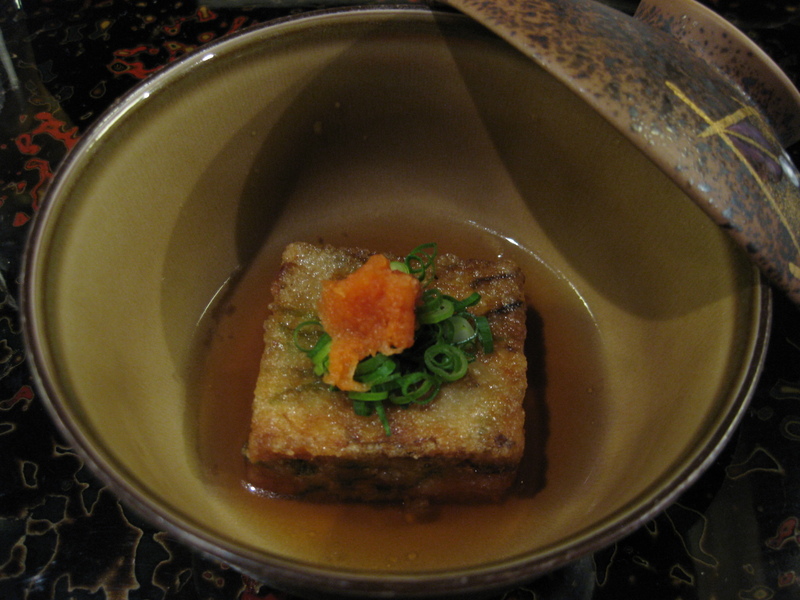 But only northern part (Aomori, Akita, Iwate) call it “Gakkura-zuke”, and has this shape. 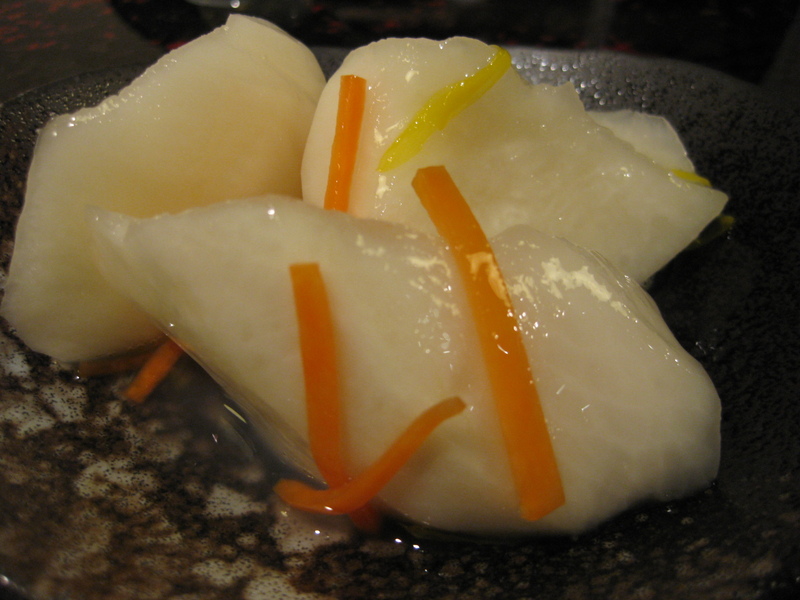 Daikon is roughly chopped so that flavors quickly permeate the vegetables. This is a traditional, local specialty food in winter and many people love this mild sweet pickle. After I ate 1 big piece, I wanted to have another one but all 5 or 6 plates were already empty in 5 minutes….sad :( Anyways, pickled daikon radish is good to refresh your palate. BTW one of the attendances was “numero uno” influential person in this area, and I knew his monthly salary was 5 times as mine. He and I were paying equally for this party. I could not agree about what price was fair. But none of us dares to say the complaint openly, because we are modest “Japanese”. The Numero Uno left earlier to attend another party, so I allowed myself to eat his Sushi too…(haha) I was a sober state and others were getting tipsy and were enjoying conversation. No one was paying attention to Sushi—so wasting! Sushi for 2 or 3 people -Yummy! I could learn a new thing that night. “Go to Sushi Bar with guys who drink a lot and not eat much” — I was stuffed with Sushi, and it was almost like “all you can eat”, a moment of great happiness for Uchiage. 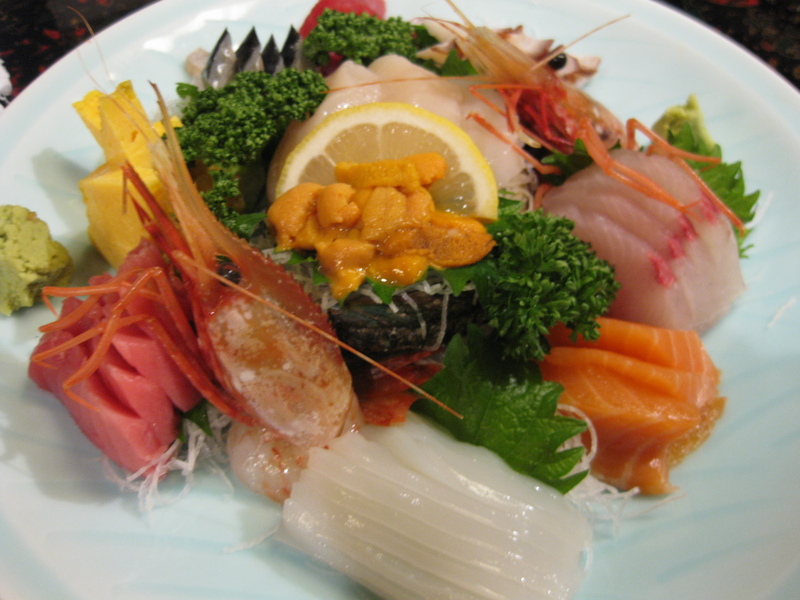 This entry was posted on December 20, 2009 at 5:43 pm and is filed under 1, Aomori-city with tags aomori, sushi. You can follow any responses to this entry through the RSS 2.0 feed. Both comments and pings are currently closed.